Her father was also was found dead on a rural property with self-inflicted injuries. NIPAWIN, Sask. 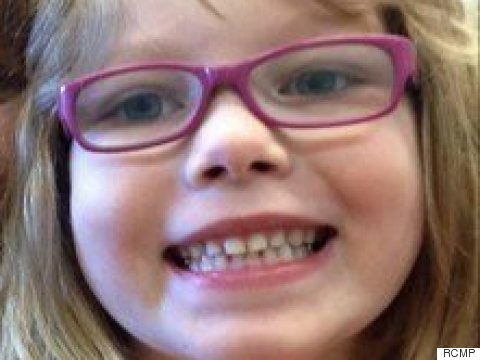 — An Amber Alert and the frantic search for a seven-year-old girl ended in tragedy Thursday when her body was discovered in a home in northeastern Saskatchewan. The alert was issued by RCMP in Nipawin after Nia Eastman was not returned to her mother Wednesday evening. Police said Nia's father, Adam Jay Eastman, was found dead in a rural area earlier Thursday from self-inflicted injuries. Vicki Starkell, a mother of three, came out to help search for Nia. "It's just horrific," said a tearful Starkell. "My heart just goes to out the family and loved ones of this little angel." Then came word that officers found the girl's body in a house in Choiceland, a small community not far from Nipawin. RCMP Insp. Jennifer Ebert struggled to maintain composure as she broke the news of the girl's death. "All of us had hoped and prayed Nia would be located safely," Ebert said as she choked back tears. "This was not the outcome any of us were hoping for and our thoughts are with her family and the communities." Ebert said investigators were trying to piece together what happened after Nia's father picked her up from school on Wednesday. "Our investigators are working diligently to determine exactly what took place," Ebert said. "At this point in the investigation, there is no indication anyone else was involved in Nia's death and we are not seeking any suspects." The house in Choiceland was cordoned off by yellow police tape Thursday. Forensic investigators in white suits could be seen going in and out of the residence. Just down the road in the small community is the school where Nia attended Grade 1. "The school is grieving, as is the community, as is the family," said Rob McKay, superintendent of school services with the North East School Division. McKay said students stayed in class, though some parents choose to pick up their children early. He said councillors will help students and staff cope with the tragedy. "Often they need someone to talk to. Sometimes a teacher will need someone to do something as simple as cover a classroom while they're having a bit of a moment and catching their breath," said McKay. Saskatchewan MP Ralph Goodale issued a statement about Nia's death. "It is heartbreaking to lose a child, and nothing can ever make that right," he said. "I wish to extend my heartfelt condolences to Nia's mother and family, her community and all those who have been touched ... We are all grieving together this most terrible loss." A Facebook page belonging to a Jay Eastman features several photos of a little girl smiling happily with her father. People who knew Eastman say he went by his middle name "Jay." "It is heartbreaking to lose a child, and nothing can ever make that right." There were no further posts after that. According to a provincial court document, Eastman was facing an assault charge. A Nipawin peace officer said he believed Eastman committed an assault on Crystal Eastman, Nia's mother, on Aug. 23 in Choiceland. 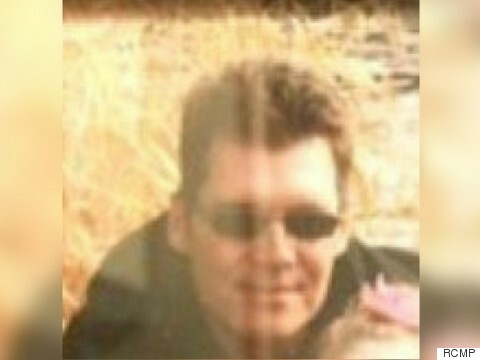 The court had no record of convictions against Adam Eastman. A business owner in Choiceland said Nia's father dropped in to talk pretty much every day. The woman said Eastman had worked at a Co-op for a while, but was currently unemployed. "He was having mental issues. Him and his wife split up. It wasn't a good situation." The woman, who did not want her name used, said Eastman and his wife had separated about two months ago. She said Nia was their only child, although Adam Eastman had two children from a previous common-law relationship. "He was having mental issues. Him and his wife split up. It wasn't a good situation," she said. The woman said she would see Eastman and Nia together occasionally and he doted on the little girl. "He loved her a lot. She was all he had." Vicki Starkell said the situation brings back memories of another tragedy in the nearby community of Tisdale in April 2015. Mounties found the bodies of Latasha Gosling, 27, and three of her children — Jenika 8; Landen, 7; and Janayah, 4 — in a mobile home. Officers said at the time that Gosling's boyfriend, Steve O'Shaughnessy, had killed them and fled the trailer with the couple's six-month-old girl. He then drove 140 kilometres to a home in Prince Albert, where he killed himself. The baby was not harmed. Starkell said the victims in Tisdale were close family friends. "We're such a tight-knit community, this whole surrounding area. It's just very devastating," she said. With files from Ken Trimble in Edmonton and Lauren Krugel in Calgary.